Free 90 Day Warranty on the Home. If you are not completely satisfied at the end of the inspection, not only will we refund the inspection fee, we will also pay for another certified CREIA or ASHI inspector of your choice, up to the original inspection fee. 90 Day Mechanical and Structural Warranty: This warranty covers plumbing, electrical, appliances, heating & air conditioning, building foundation, floor joists, wall members, roof leaks, and attached garage doors. No Deductible! Every inspection includes a $3,000 Roof Leak Warranty that covers roof repairs resulting from normal wear and tear over the next 5 Years. The benefits of a “EnerGuide Home Evaluation with PCA Inspect!! 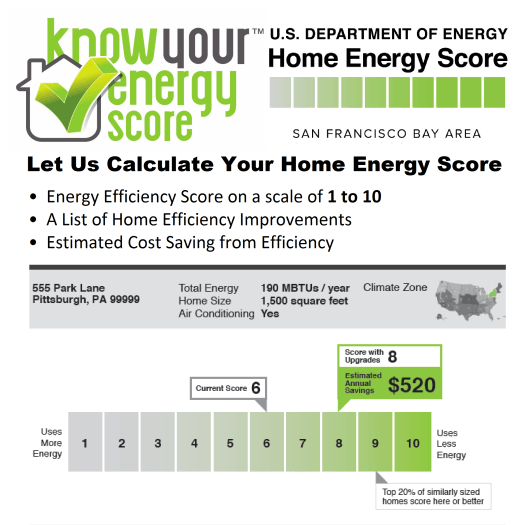 Learn more about the benefits of the home scoring energuide tool!! !